How Much Should I Budget for a Trip to Paris? With the dollar at a low against the euro, even well-off tourists are counting their pennies. Luckily, airfare and lodging costs are fixed before you leave home. But, once you arrive in Paris, how much can you expect to spend to have a fabulous, but not over-the-top luxurious vacation? 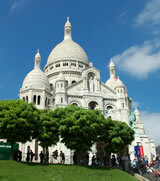 To help you plan your trip, we've created an itinerary for fun-filled day in Paris including up-to-date prices for 2013. For bare-bones budget travelers, we've also noted the cheapest choices for a rock-bottom budget stay. Here's our summary. To convert these amounts using today's exchange rate, take a deep breath and go here. How did we come up with these numbers? Read below for the details. Unless it is included in your room rate, skip the over-priced hotel breakfast. Stop by a local cafe and have a Parisian breakfast of fresh croissants, pain au chocolate (chocolate-filled croissant) or pain au beurre (baguette and butter) with a cafe au lait. Price: Croissants and bread, 2€/piece, Cafe au lait - 3€ for a total of 5€/person. 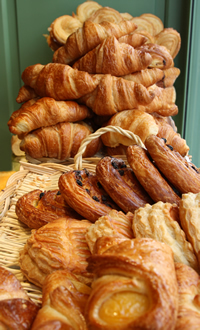 Purchase a few pastries for a yummy 2 euro breakfast. Budget Tip: Save 3 euros. Skip the cafe, purchase a pastries/croissants at a bakery for .90€. Drink coffee by standing at the bar (price differences will be posted behind the bar) for about 1€. The stop is Palais Royal - Musee de Louvre. Cost for a metro ticket is 1.6€/ticket. Budget Tip: Buy a carnet of metro tickets (10 tickets) for 12.50€. For an unlimited weekly pass for the metro and bus called a Navigo Découverte pay 19.15€ - a steal. For more information in English on buying a Navigo Découverte pass, visit the Paris by Train website. At the Louvre, view over 35,000 pieces of art, including the Mona Lisa, Egyptian mummies, and the French crown jewels for 10€/ticket. Budget Tips: Visit from 6 to 9:45pm on Wednesday or Friday evenings to beat the crowds. 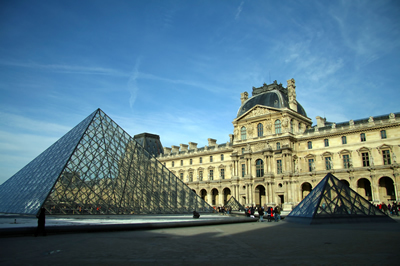 If you are planning to visit many museums, look into purchasing the Paris Museum Pass. A 2-day pass costs 39€. The break-even point for the pass is if you plan visit 2 or more museums a day. Plan carefully - the logistics of visiting many museums in one day can be difficult. One of the best meal deals in Paris is the three-course fixed price lunch menu. You can eat a great meal for 12-15€	at a restaurant that charges 30-45€ and	up for dinner. Cafes are also great choices for a light meal. Cafe menus include salads and quiches for 7€ and sandwiches for 5€. Skip the expensive soft drinks (4-6€ for a Coke) and drink the house wine instead for under 3€ a glass. Crepes make a delicious meal for around 4 euros. 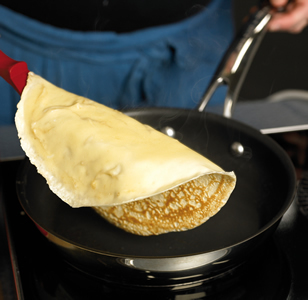 Budget Tip: Buy a crepe or panini from a street vendor for 4€. Splurge for a Coke (2€) or pick-up one at a grocery store (1.3€). Metro: Ride the Metro to Notre Dame Cathedral. The metro stop is Cite or Hotel de Ville. Explore the Notre Dame Cathedral for free, wander through the gardens behind the Cathedral, then walk across the Pont St. Louis bridge to window shop on the historic island, Ile St. Louis. 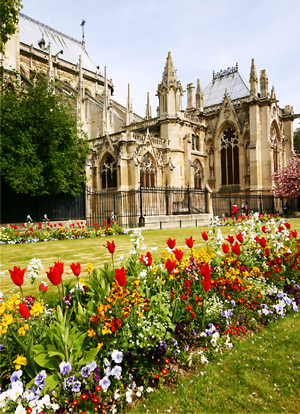 Explore the gardens behind the Notre Dame Cathedral for free. Snack - Licking the windows (the French term for window shopping) has made you hungry. Grab an ice-cream cone at the most delicious ice creamery in Paris, Berthillon. 4€ for a cone. 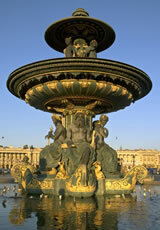 Or, sit at a cafe at tip of Ile St. Louis and enjoy a beautiful view of the Seine and the Notre Dame. Try Le Flore en l'Ile at 42, quai d'Orlean. Budget 15€ for coffee or wine and a shared appetizer. Metro: Ride the metro to the Eiffel Tower. 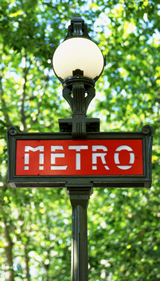 The metro stop is Bir-Hakeim or Trocadero. 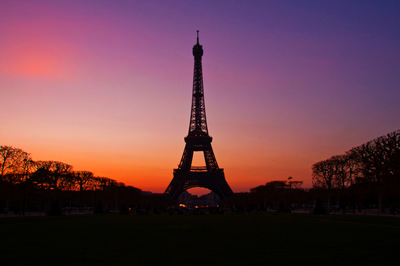 Ride to the top of the Eiffel Tower at sunset for a breathtaking view over Paris. Ticket price is approximately 14€. Twilight at the Eiffel Tower, minutes before the sparkling lights of Paris light up the night sky. Celebrate your time in Paris as twilight descends and the City of Light comes to life at the Champagne bar at the top of the Eiffel Tower. 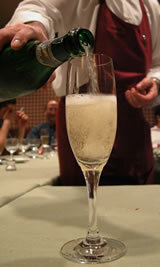 10 - 15€ for a glass of French champagne. Budget Tip: Avoid the lines, burn off some calories and climb to the 2nd stage for a 10€ savings. Ticket price is under 5€. Metro: Back to your hotel to freshen up for dinner. 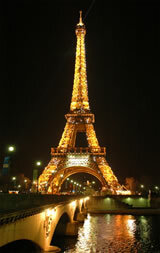 Paris has some of the most highly rated and expensive restaurants in the world. Unless the sky's the limit, budget 30-50€/person for a three course meal in a fine dining establishment. Add 15€ for a bottle of wine. Budget Tip: Pick up the book Pudlow Paris before you leave home. The Parisian Bible for restaurant reviews, Pudlow gives excellent recommendations and pricing for great meals in Paris. The book is a few years old, but still helpful for finding a good, reasonably priced restaurant in Paris. If you aren't up for a large meal, stop by a cafe and order a pasta, meat or fish dish for about 12€. Add carafe of house wine for 2 for 8€. Budget Tip: Order a sandwich, crepe or panini off of a street vendor. Yummy and worth the 4€. Need to save money on your trip. Consider renting an apartment and and cook at home. Plan your budget by reading our article "How Much Do Groceries Cost in Paris?". Curious about cafe prices? Read How Much Does Food and Drinks Cost in Paris Cafes? Looking for a cheap hotel. 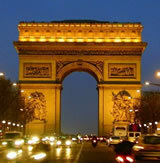 Read Cheap Hotels in Paris. Find a budget apartment by scanning our list of Cheap Apartment Rental agencies and websites.